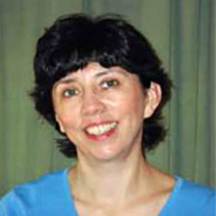 Teresa Méndez-Quigley won second prize in the Annual Mad Poets Competition in 2000 and her poem “Dreaming In Italian” won Judge’s Choice award in 2001. Teresa was one of five winners in the ‘Significant Other’ competition for emerging women poets, resulting in a reading performance at the Painted Bride Arts Center in Philadelphia in 2002. In 2004, she was selected poet laureate by Ellen Bryant Voigt. Since 2000, Teresa has studied with poet Christopher Bursk. Her poems have appeared in four volumes of the Mad Poets Review, Drexel Online Journal, Philadelphia Poets, Feile Festa, California Quarterly, Freshet, and the anthology, Not What I Expected. Teresa has a Masters in Social Work and works in the field of environmental health. She and her husband also own Healthy Spaces, and reside in Springfield Township. For fun, she’s now trying to learn Gaelic.